2010 was quite a year, wasn’t it? 2010 will be remembered for a lot of things, but for those living in the United States, one of the main things that last year will be remembered for is economic decline. The number of foreclosure filings set a new record, the number of home repossessions set a new record, the number of bankruptcies went up again, the number of Americans that became so discouraged that they simply quit looking for work reached a new all-time high and the number of Americans on food stamps kept setting a brand new record every single month. Meanwhile, U.S. government debt reached record highs, state government debt reached record highs and local government debt reached record highs. What a mess! In fact, even many of the "good" economic records that were set during 2010 were indications of underlying economic weakness. For example, the price of gold set an all-time record during 2010, but one of the primary reasons for the increase in the price of gold was that the U.S. dollar was rapidly losing value. Most Americans had been hoping that 2010 would be the beginning of better times, but unfortunately economic conditions just kept getting worse. Amazingly, many of our politicians and many in the mainstream media have declared that "the recession is over" and that the U.S. economy is steadily improving now. Tags: 2010, debt, Economy, food stamps, foreclosure, government, U.S. 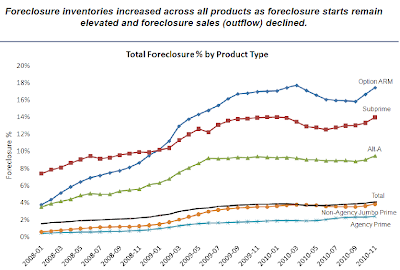 The foreclosure fraud crisis seems to escalate with each passing now. It is being reported that all 50 U.S. states have launched a joint investigation into alleged fraud in the mortgage industry. This is a huge story that is not going to go away any time soon. The truth is that it would be hard to understate the amount of fraud that has gone on in the U.S. mortgage industry, and we are watching events unfold that could potentially rip the U.S. economy to shreds. 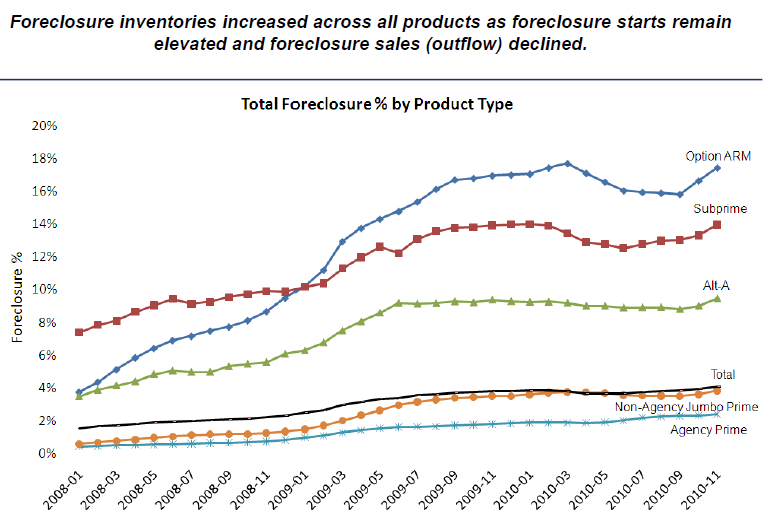 Many are now referring to this crisis as "Foreclosure-Gate", and already it is shaping up to be the worst thing that has ever happened to the U.S. mortgage industry. At this point, it seems inevitable that some financial institutions will go under as a result of this mess. 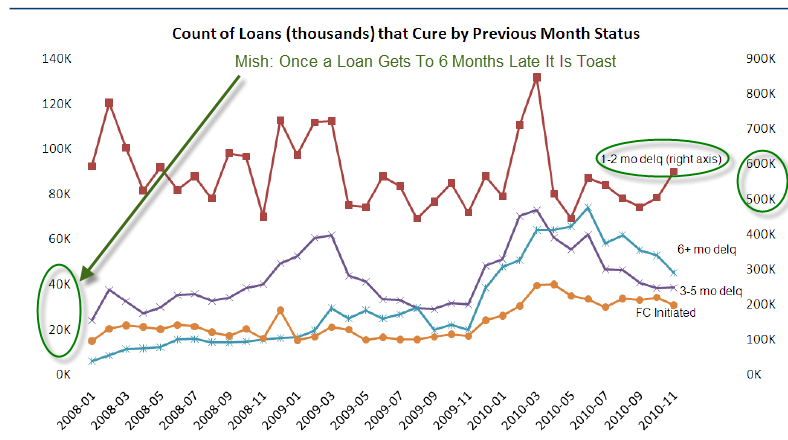 In fact, by the end of this thing we might see a whole bunch of lending institutions crash and burn. 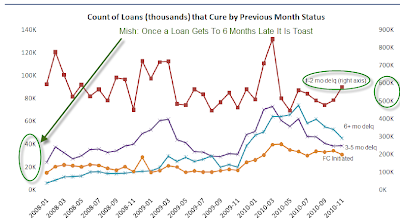 This crisis is very hard to describe because it is just so darn complicated, but it is worth it to try to dig into this thing and understand what is going on because it has the potential to absolutely decimate the entire U.S. mortgage industry. The truth is that there was fraud going on in every segment of the mortgage industry over the past decade. Predatory lending institutions were aggressively signing consumers up for mortgages that they knew they could never repay. Many consumers were also committing fraud because a lot of them also knew that they could never possibly repay the mortgages. These bad mortgages were fraudulently bundled up and securitized, and these securitized financial instruments were fraudulently marketed as solid investments. Those who certified that these junk securities were "AAA rated" also committed fraud. Then these securities were traded at lightning speed all over the globe and a ton of mortgage paperwork became "lost" or "missing". For most Americans, the economic collapse is something that is happening to someone else. Most of us have become so isolated from each other and so self-involved that unless something is directly affecting us or a close family member than we really don’t feel it. But even though most of us enjoy a much closer relationship with our television sets than we do with our neighbors at this point, it is quickly becoming undeniable that a fundamental shift is taking place in society. Perhaps you noticed it when two or three foreclosure signs went up on your street. Or perhaps it got your attention when that nice fellow down the street lost his job, and he and his family seemingly just disappeared from the neighborhood one day. The Census Bureau made front page headlines all over the nation this week when they announced that one out of every seven Americans was living in poverty in 2009. Every single day more Americans are getting sucked out of the middle class and into soul-crushing poverty. Unfortunately, most Americans don’t really care because it has not affected them yet. But this year, millions more Americans will discover that the music has stopped playing and they are left without a seat at the table. Meanwhile, neither political party has a workable solution. They just like to point fingers and blame each other. 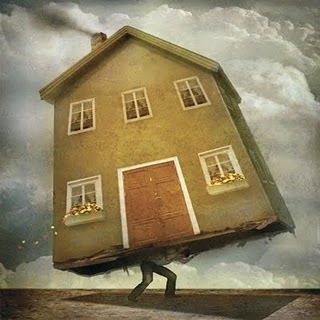 Yesterday’s article "Is 103 Months to Clear Housing Inventory Too Optimistic?" included an excerpt from the WSJ’s "Number of the Week: 103 Months to Clear Housing Inventory," suggesting there were at least 103 months of housing inventory yet to hit the market. Patrick Pulatie, CEO of Loan Fraud Investigations, wrote to me that he believed the 103 estimate was far too low. One of Pat’s reasons was that "the HAMP modifications will have a failure rate of at least 75%. That is due to the Debt Ratios that the mods are approved at. In Feb, the mean ratio was 59.8%. In Mar, it was 62.7%, which to increase that much, most every Mar approval was far above the 62.7 number." In this article, Pat discusses the HAMP loan modification program in more detail. Over the last year, I have been watching the HAMP modification program with great interest. I have wanted to believe that the Federal Government would actually put into place a loan modification program that would help homeowners, though I knew that this was likely false hope. The results are now in, at least in my opinion. HAMP is a fraud. Nothing else can be said otherwise. The Government has once again put into place a program that will not help homeowners. Instead, HAMP modifications will end up postponing homes foreclosures for a period of time for modified loans, but, most will end up losing the home in the end, except for a “very” lucky few who actually make it. I cannot believe that the Government expected anything other than the HAMP program would end up being a failure. To understand what to expect, we must look inside the numbers. * 1.3 million total trial modification offers. * Almost 1.1 million trial modifications have begun since the program began. * 72,000 new trial modifications started in February. * More than 170,000 permanent modifications granted to date. * 91,800 other permanent modifications offered and awaiting acceptance. 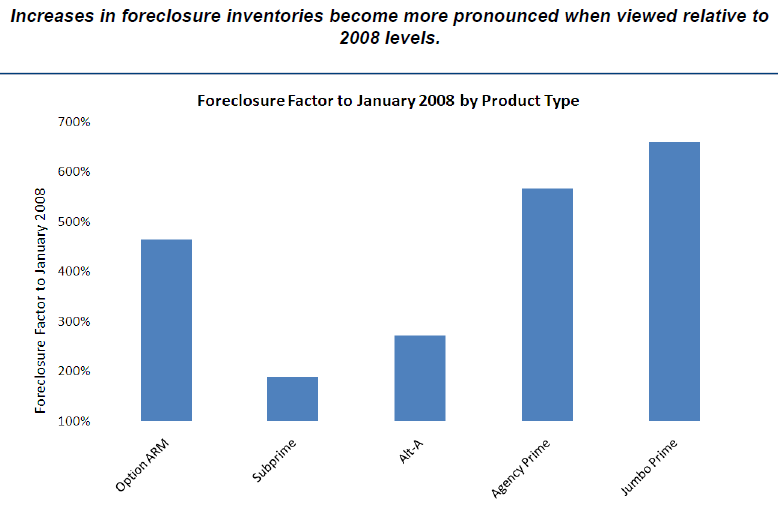 RealtyTrac is out this morning with a year-end look at foreclosures. I think it is a terrible report. There is the usual bad news from the worst hit areas. -1 in 8 homes in Vegas was in foreclosure. How is it that the MSM has convinced us that things have gotten better there? They have not. -Cali and Arizona are looking at ten percent default rates. And this has been going on for a few years now. -A substantial part of South Florida has one home in ten in default. In Marco Island/Naples the rate is 6.5%. That blows my mind. I know this area. It is deep pocket. At least it used to be. -The real shocker to me was Provo Utah and Boise ID. The default rates are up 100% from two years ago. This was not supposed to be happening in places like this. 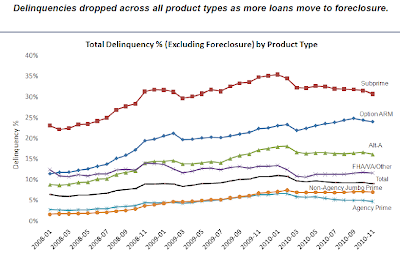 There is a nationwide problem of defaults. The people in Boise are feeling the same pain as Stockton. Every time that a default happens it devalues other properties. I have real estate interests around the country and I can tell you that things are dead. There was a time when a buyer would look at a home and ask, “How big is the lot?” Today the question is, “Does the bank have title and are they desperate to sell?”. There is not going to be a recovery in housing until the defaults have been stabilized at manageable levels. The broad economy is not going anywhere either. There is no plan on the table to stop what is surely coming. The government programs have delayed things by an average of nine months. 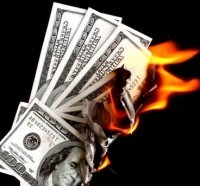 That means that most of the millions of government sponsored ReFi’s from 2009 will blow up this year. We paid a bundle for those ReFi’s. They cost us last year, we will pay again for them this year. Little has been accomplished. I know that there are many out there who will say, “Let price discovery rule!” You may be right. I don’t know anymore. We are paying a big price in time and treasure with what we have been doing. However, the policy of, “Let the chips fall” scares me. It is like a giant sucking noise. It is far away but getting closer. I was struck by the following announcement from Fannie Mae. Being the nice guys that they are, Fannie is giving homeowners a few more days before they get tossed on the street. I have not seen that the other D.C mortgage lenders have followed Fannie’s lead, but I am sure they will. 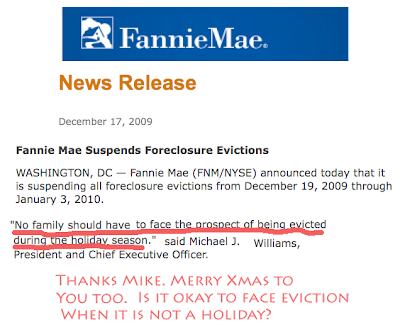 Freddie Mac, FHA, FDIC and the Federal Home Loan banks are also “nice” guys who are also in the foreclosure business. I agree with this decision. What’s the sense of chucking people out in the cold over the holidays? We are supposed to be a compassionate people with a compassionate government. I am not sure that those who get this two-week reprieve will really be enjoying the Christmas spirit. Waiting for the axe to fall does not fit in with the plum pudding and presents thing. 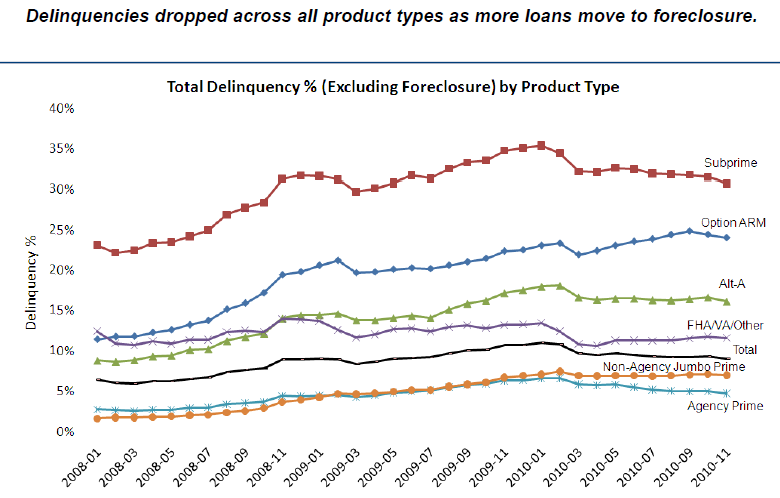 Assume that all of the lenders followed Fannie’s lead and suspended foreclosures from the 19th to the 3rd. That would be a pretty big deal. 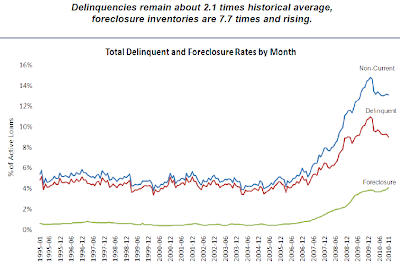 The number of foreclosure has now reached a level of 11,000 per day. So this break in the action by the lenders would defer as many as 160,000 homes from foreclosure. But that is only for two weeks. It just means the January/February numbers will have a bulge. 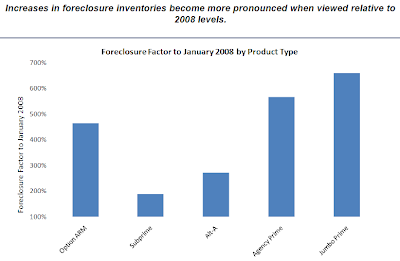 The 2009 foreclosure will come in around 4mm. Up from 2.2mm in 2008. In the period 1950-2000 the foreclosure rate averaged less than 1% of all mortgages. 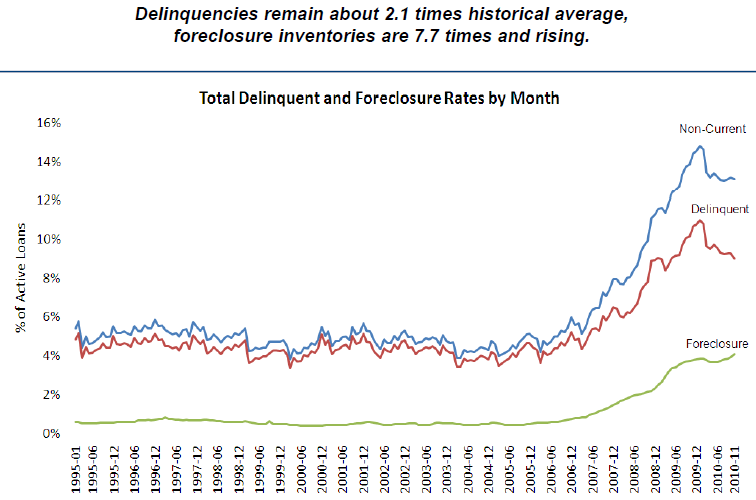 In 2010 foreclosures could be 7%. There is nothing normal about our current conditions. It is certain that there is more bad news in front of us on this issue. 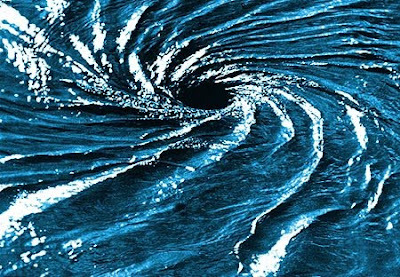 Washington has introduced the HAMP and HARP programs in the last year to combat the tide of foreclosures. 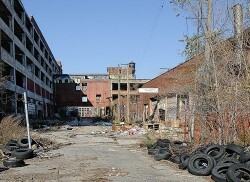 There has also been pressure by regulators and even the White House on the private sector lenders to avoid foreclosures. These efforts have reduced the numbers, but the real impact is to pass the trash to a future period. We know that 60% of restructured mortgages re-default in less than one year. There is no second chance at this. That 60% is going to hit a wall sometime in 2010.